Heat oil in a medium saucepan. Saute the onions for 3 to 5 minutes. Add the garlic and saute 1 minute. Add all remaining ingredients, bring to a boil, reduce heat to medium-low and simmer for 20 to 25 minutes until creamy. Great with fresh cornbread! Variations: fresh sweet corn and bell peppers can be added if desired. 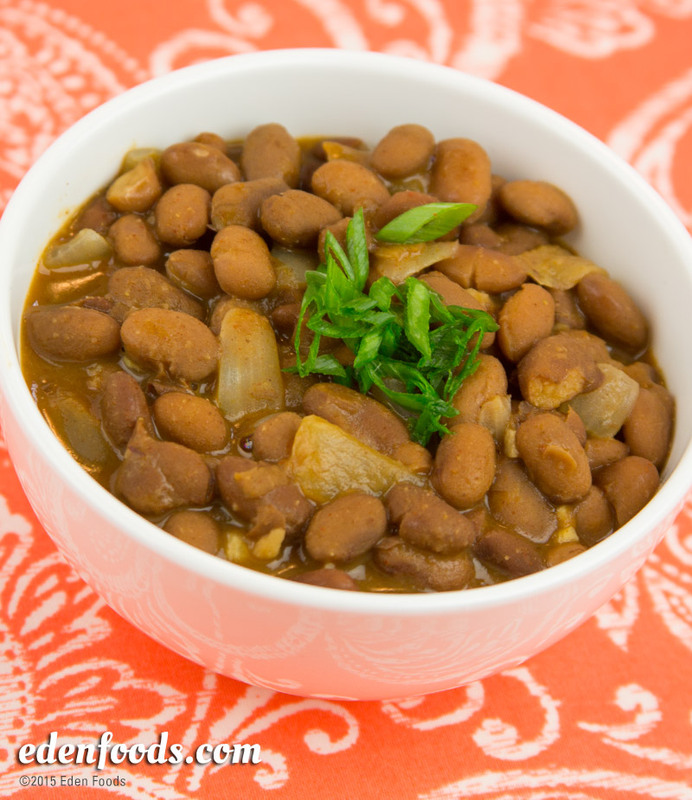 Note: bonito flakes give the beans a smoky flavor similar to bacon, which is typically used as an ingredient in Mexican Pinto Beans. However, it may be omitted for a vegan dish.